Demystifying Twitter – This is me. Isn’t that what they tell us to do? So…have you? Some people get intimidated by Twitter. Maybe because it is fast paced, maybe because there are so many avenues to take…who knows. As I’ve tried to tell my 65 year old father, a career networker, social media (at its simplest level) is one big networking event. Twitter, in my opinion, is the easiest social media platform to connect with people on specific topics. There are all these conversations happening at any given time and they are all public. You just need to find them and start speaking up. Easy enough, right? Find conversations about X and speak up. Got it. Wait, there are how many people on Twitter?? 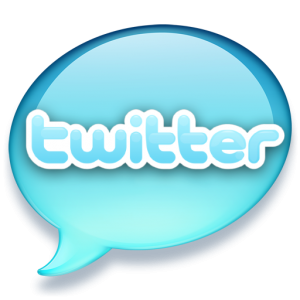 Estimates state that there are about 100 million active users on Twitter. Assuming that each user is only having one conversation with another user, there are 50,000,000 conversations for you to search through to find ones on your topic X. Five conversations each? 250,000,000 conversations happening simultaneously. You see how it grows quickly. If you are just getting started on Twitter, take a step back and think about why you are using it in the first place. Looking to stay connected with friends, connect with businesses that you like or promote your own business? Maybe a combination of all three or more. Now that that you have the why, you should be able to narrow down the what. Do you want to talk to people about reality TV, travel or poetry? Once you have the what, you are ready to get into some more of the details that I’ll include in the next post. For now, determine your why and what. ← It’s Just Talking on the Internet!